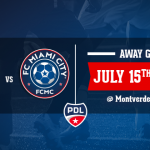 FC Miami City is an American soccer team based in Miami, Florida. 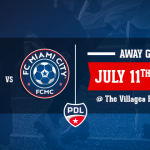 The team plays in the USL League Two, in the Southeast Conference. The USL League Two, formerly called PDL (Professional Development League) is the pro development league sponsored by United Soccer Leagues in the United States and Canada, forming part of the United States soccer league system. It is currently the top-level men’s amateur soccer competition in the United States, and has 72 teams and over 1800 players nationwide. 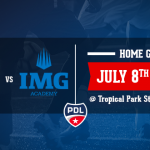 FC Miami City home field is Located at Tropical Park Stadium 7900 SW 40th St, Miami, FL 33155. The team colors are Blue, White and red. The proven developmental leader in North American soccer’s evolving tiered structure, USL League Two (formerly the PDL) features 74 franchises in four conferences throughout the United States and Canada, including 18 clubs that are owned and operated by a professional club, or that hold a partnership with a professional club. League Two has proven to be an important stepping-stone for top professionals now playing throughout the world, with more than 70 percent of all selections in the MLS SuperDraft since 2010 having PDL experience, including 66 selections in the 2018 MLS SuperDraft. The USL has spent the past 8 years transforming our leagues to meet the evolving needs of the fans, team owners players, coaches and partners. USL have established a place in the US soccer landscape, while blazing the trail for soccer’s future by introducing the next generation of the USL. USL is now bringing all of our leagues under a central brand that will uniquely represent the USL’s vision for the future and fuel local passion in cities across. FC Miami City provides the best soccer training and method in the Miami Metro. On and off the field, the founders of the club have put forward life values such as dedication, competition and leadership to reach excellency and improve the player’s talent, regardless of their background, financial situation or area of living. A passionate staff dedicated full time. Thanks to the expertise and dedication of our team, coaches and patrons, our project is truly unique in Miami and in the United States: that’s one of our many strengths!